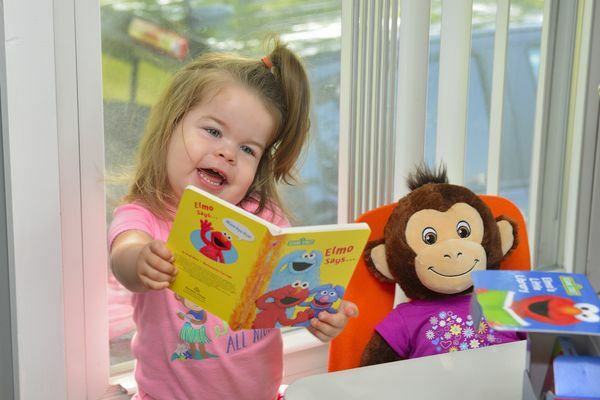 My Grand Daughter reading to her monkey. My daughter used to read to our dog. Very nice photo and cute little girl! What a precious little girl, Brent!